“We want to be a hub for innovation activity where technologists, investors, designers, innovators and dreamers can all meet, collaborate, share and create new ideas and new businesses,” he adds. The space has already drawn some of the state’s most exciting young companies. 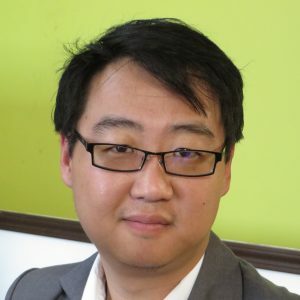 Nodecraft is a local hosting service, while Monscierge, a hospitality software solution that has won over $6.5m in venture capital, is helping build StarSpace46’s digital infrastructure. Techlahoma, another local association, has been instrumental in the project. 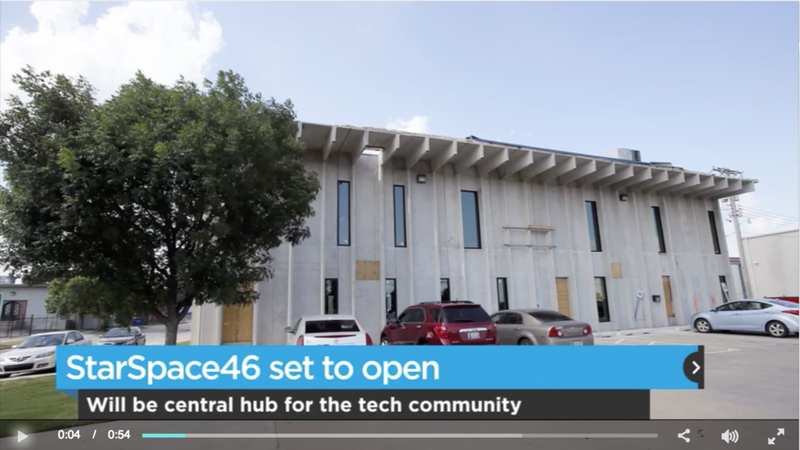 So excited is OKC’s city hall with StarSpace46, that it is hoping to revamp the entire district around it. 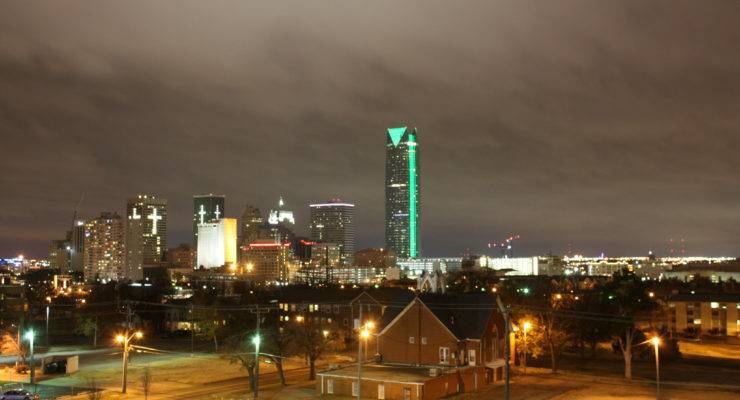 Yi believes it could be a new “Tech Row” for the city many simply call “The 405”. Episode 39 - First was the Unconference which led to OKC CoCo co-working space. Then came the 404 co-working space. Now, Tommy is once again in on another ground floor development of a new co-working space. This one is called StarSpace46. We talk about the opportunities that these co-working spaces have offered especially to startups and the tech community in Oklahoma City. Lyndon Alvarex of BuddyFX, a videography and motion graphics, created this video of 200OK, a Techlahoma conference in Tulsa, OK.
Watch a video tour of StarSpace46 online. “As this becomes more of a community we will have more access to talent. 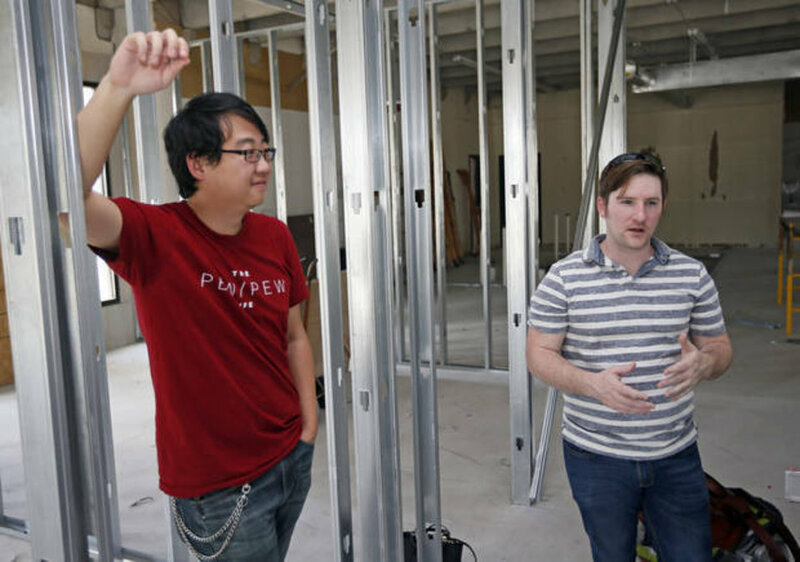 People won't be going away,” said Jonathan Yarbor, co-founder and CTO of Nodecraft and a future tenant. StarSpace is strongly tied with Techlahoma, a nonprofit organization that tries to foster the growth of the state's tech community. The vice president and secretary of Techlahoma are co-founders of StarSpace, and Techlahoma is running a capital campaign based on sponsorship of different rooms in StarSpace. “The alignment with our mission is practically in overlap,” said Jesse Harlin, president of Techlahoma. Techlahoma will serve as an anchor tenant for StarSpace, regularly renting out the converted garage that will serve as an event space. A central meeting place is something the nonprofit has never had before. “It's standing room only. We need the space,” said Amanda Harlin, secretary of the nonprofit"
"Programming has very little to do about computers and a lot about people. Programming is very much a communication-oriented, people-centric thing." "User groups seek to learn from each other on their own time, to increase the understanding of the code that they write. There is no pay for this, but a big pay-off of growth." Her comments show a growing sense of civic-mindedness among programmers that is prominent on the Oklahoma City tech scene. "I am so thrilled to see such a fantastic community and conferences that have spun up around the community." "I left town because there wasn't much of a tech industry and I went to Austin, which is where I now reside. It's such a thrill to come back each year to see the blossoming growth that's happening." "What a fantastic conference. It only gets better and better every year. Its reputation precedes itself. I've literally been in other countries on the other side of the world and heard people mention Thunder Plains, that it's a fantastic conference." Lara Hogan, Senior Engineering Manager at Etsy, mentions Techlahoma in her Velocity Conference interview. "I say this every time I'm here, it's amazing to me how vibrant this community is now that we can have conferences and meetups and so many people passionate about this stuff. One of the reasons, for better or worse, that I left for Austin back in the olden days when I was in school, there wasn't so much of this and I moved to find work. It's nice to see Oklahoma so on track."